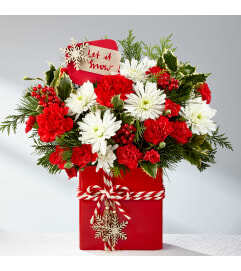 Spread cheer this holiday season with Christmas flowers in this Holiday Ornament Christmas Bouquet, beautifully hand-arranged with flowers with festive holiday blooms. 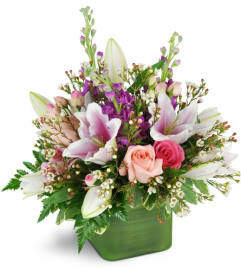 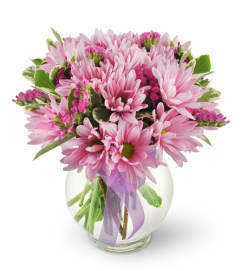 Fresh red spray roses and dark red carnations are featured in this mixed bouquet of flowers instead an ornament vase. 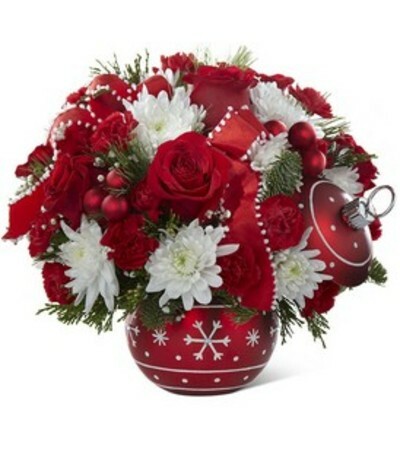 With million star gypsophilia, white cushion pompons, Christmas flower greens, and glass decorative balls in a ceramic ornament inspired vase with lid, this candied Christmas holiday bouquet is a beautiful way to have christmas flowers delivered.